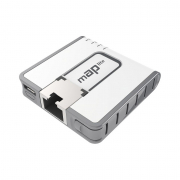 The mAP (micro Access Point) is a small wireless Dual-Chain 2.4GHz Access Point with the power of RouterOS. 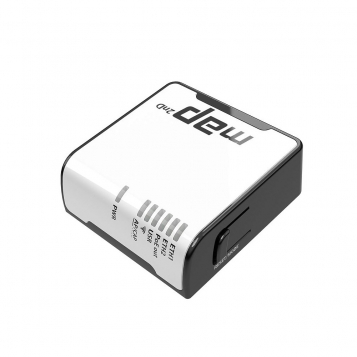 It's portable, accepts a wide variety of sources - Micro USB(5V), Passive PoE and standard DC power(11-57V) and also works as a PoE injector. Port 2 can provide up to 500mA to another PoE device, for example, you could connect an SXT CPE device to it, for remote connections. Wireless parameters may be limited by software, depending on your local regulatory limitations.